The combination of cytarabine and an anthracycline has been the standard of care for the induction of remission in acute myeloid leukemia (AML). The response to treatment and survival of adult patients with AML are still variable and depend on multiple factors. Therefore, there have been many efforts to improve the response to treatment and survival rates by either increasing the cytarabine dose or adding a third agent to the standard induction chemotherapy regimen. Unfortunately, attempts to improve response and survival have been mostly unsuccessful. Recent clinical trials and retrospective studies explored the addition of cladribine to standard induction chemotherapy for AML. Some of these studies showed higher rates of complete remission, and one showed improved survival. 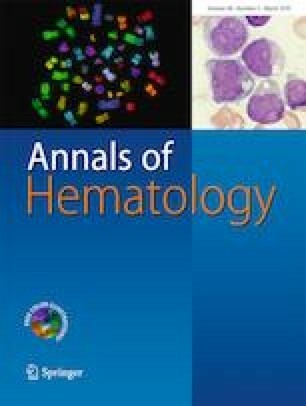 In this review, we will discuss the antileukemic properties of cladribine and summarize the recent clinical data regarding its incorporation into the induction therapy for adult AML. Cladribine plus low dose cytarabine (LDAC) alternating with decitabine in patients with acute myeloid leukemia (AML) or high-risk myelodysplastic syndrome (MDS). ClinicalTrials.gov Identifier: NCT01515527 National Library of Medicine, USA. https://clinicaltrials.gov. Decitabine, filgrastim, cladribine, cytarabine, and mitoxantrone hydrochloride in treating patients with newly diagnosed, relapsed, or refractory acute myeloid leukemia or high-risk myelodysplastic syndrome. ClinicalTrials.gov Identifier: NCT02921061. https://clinicaltrials.gov. Filgrastim, cladribine, cytarabine, and mitoxantrone with sorafenib tosylate in treating patients with newly-diagnosed, acute myeloid leukemia or high-risk myelodysplastic syndrome. ClinicalTrials.gov Identifier: NCT02728050. https://clinicaltrials.gov. Cladribine plus idarubicin plus cytarabine (ARAC) in patients with acute myeloid leukemia (AML), high risk myelodysplastic syndrome (HR MDS) or myeloid blast phase of chronic myeloid leukemia (CML). ClinicalTrials.gov Identifier: NCT02115295. https://clinicaltrials.gov. 4-Arm phase II study of SGI-110 in elderly acute myeloid leukemia (AML). ClinicalTrials.gov Identifier: NCT02096055 https://clinicaltrials.gov. Higher or lower dose cladribine, cytarabine, and mitoxantrone in treating medically less fit patients with newly diagnosed acute myeloid leukemia or myeloid neoplasm. ClinicalTrials.gov Identifier: NCT03012672 https://clinicaltrials.gov. Idarubicin plus cytarabine (IA) vs IA plus cladribine (IAC) as induction regimen to treat initially diagnosed acute myeloid leukemia (AML). ClinicalTrials.gov Identifier: NCT02323022 https://clinicaltrials.gov.